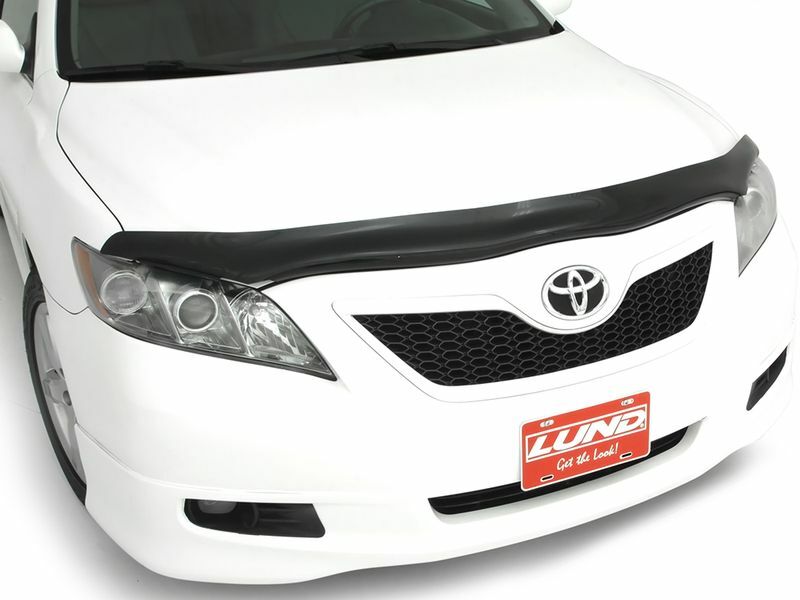 If you're in need of the perfect accessory to keep your car's hood and windshield safe and clear, you've come to the right place. AVS Carflector bug shields are designed specifically for cars, with all the great features and benefits of its bigger cousin, the Bugflector. Models are available to fit most passenger and sports cars. Installing your AVS Carflector bug shield is simple using the included high strength OEM approved 3M adhesive, or by using mechanical fasteners which are both included with your shipment. No drilling is required, and the entire process can be completed quickly and easily at home without a lot of special tools. It's also easy to wax and keep clean, and is safe to go through the carwash. AVS Carflector bug shields are constructed from high quality impact molded ABS acrylic that won't easily scratch or dent. They are also designed to effectively deflect debris from hitting your windshield and stop bugs from smudging your vehicle's finish by going kamikaze all over your hood. In addition to keeping unsightly bug-related grime off your hood, the smoke finish also adds a great accent to your ride's aesthetics. Best of all, AVS Carflector bug shields are covered by a limited lifetime warranty from Auto Ventshade. The company's more than 75 years of experience in automotive accessory design shows in the exceptional construction of this product, and you can rest assured it will more than hold up for years to come. Order yours today! The AVS Carflector bug shields offers an easy at home no drill installation. For additional information call us at 1-877-216-5446 or 701-253-5906.